Former Brazilian Foreign Minister Celso Amorim has been elected as the new Chair of the Executive Board of Unitaid with immediate effect. He succeeds the organization’s founding Chair, Philippe Douste-Blazy, who is standing down after 10 years at the head of Unitaid. Amorim, a career diplomat, served as Brazil’s Minister for Foreign Affairs from 1993 to 1995 and again from 2003 to 2010. He also served as Minister of Defence from 2011 to 2014. He was elected at a two-day meeting of the Executive Board that ended on Thursday. The Board also elected the United Kingdom, represented by Sarah Boulton, as its new Vice-Chair to succeed Marta Mauras from Chile. Ms. Boulton oversees UK investments in Unitaid, UNAIDS and in the Global Fund to Fight AIDS, Tuberculosis and Malaria. She led the UK Multilateral Aid Review in 2011 in a former role. Earlier in his career Amorim was Brazil’s ambassador to the United Nations and also served as ambassador to the United Kingdom. He serves on two high-level United Nations panels, devoted respectively to global access to medicines and to the global response to health crises. 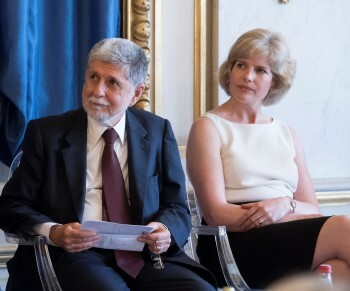 “It is an honour to lead such a vibrant health organization at a pivotal moment in its history as it intensifies efforts to bring innovative health solutions to those who most need them,” said Amorim. “Celso Amorim is one of the most prestigious figures in the international diplomatic world. He deeply respects human beings and their individual dignity and is from a country, Brazil, that plays a very important role in global health,” said Unitaid’s Executive Director Lelio Marmora. The Board and Secretariat of Unitaid warmly thanked Philippe Douste-Blazy for his outstanding contribution to Unitaid during his 10-year tenure as Chair.